This custom desk was featured on HGTV. The base is cherry with burled maple panels that are free form . with a Nakashima style base. This table base is a contemporary rectangular solid end built out of walnut. 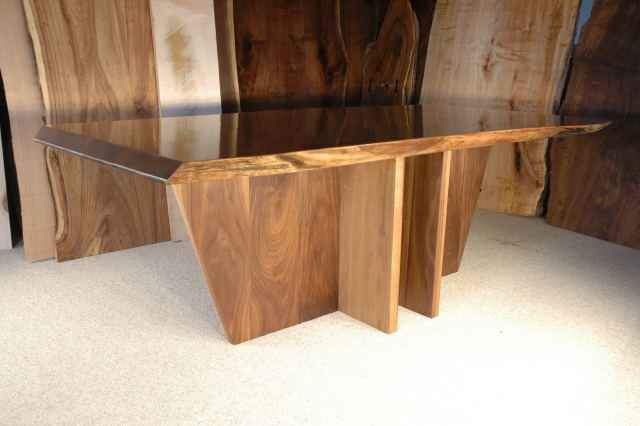 This is the “Inverted King” table base constructed from solid walnut. ends in the center and the narrow taper at the table base. 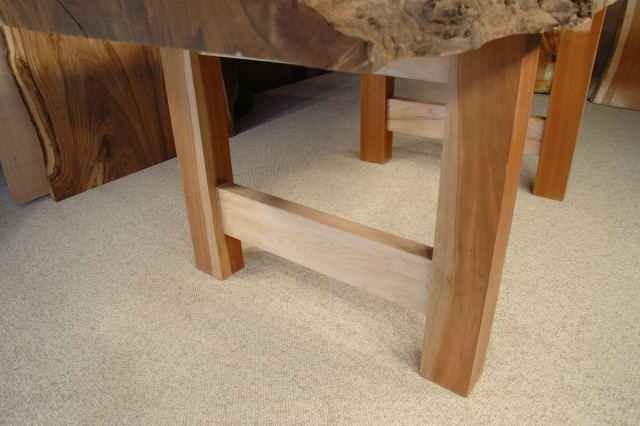 rectangular ends in the center and the wide taper at the table base. legs approximately 3.5″ x 5″ legs. Legs are parallel to each other.